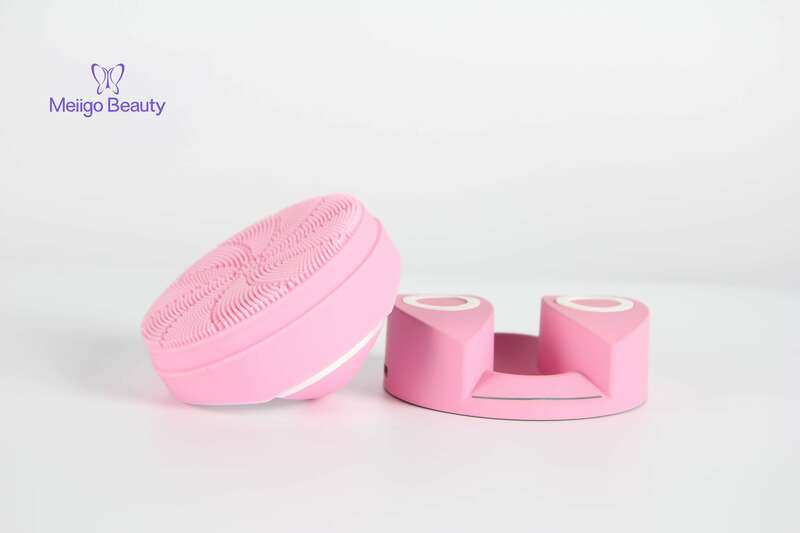 Electric silicone sonic face cleaning brush for deep cleansing at home for wholesale with cheap price from China manufacturer, Meiigo Br-006 electric silicon sonic facial cleansing brush is a type of cleansing device use to deep clean and massage face. It cleans pores and exfoliates dead skin. With a wide range of adjustable intensities, it can effectively clean pores and exfoliates dead skin, with the handheld design and portable mini size, easy to use feature, as well as IP68 waterproof grade and wireless charging technology, this handheld mini electric sonic face clean brush can be used anywhere anytime. Deep cleansing – It provides the softest and most gentle face cleansing and massage, which cleanse your face of dirt, oil, impurities and makeup residue, giving the facial skin a clearer and smoother appearance. No harmful to skin – It adopts organic and natural silicone heads, which inhibit bacterial growth to help facial skin become healthier and softer. Comfortable massage – This mini device is one of the best vibrating massager, which provides gentle and comfortable feeling when you are cleansing. Excellent waterproof effect – 100% waterproof, safe to use this silicone face cleanser while taking a shower. A wide range of adjustable intensities – The facial cleansing brush equips a wide range of adjustable cleansing intensities, you can always fine one that works for you. Find the suitable intensities with the front side to do deep cleansing and gentle exfoliation, and use the soft vibrating intensities to massage and reduce the appearance of fine lines and wrinkles. Smart wireless charging – It uses the latest technology – wireless inductive charging, use when picked up, put it down to recharge.